The New Richmond River Green Condos and Townhomes Now Selling! Welcome to River Green Richmond master planned community. Across the water from the city of Vancouver, just minutes from YVR and next to the beautiful Richmond Olympic Oval, will be a vibrant new Richmond condo and townhome neighbourhood of luxury, high-end riverfront homes for sale by ASPAC Homes. Surrounded by fabulous views of snow-dusted mountain peaks, a surging Fraser River and a wealth of cultures and entertainment, the master planned community of River Green Richmond real estate neighbourhood of condos and riverfront townhomes will be within easy reach of everying that West Coast living has to offer. To the north of the new ASPAC Richmond River Green condo development, a vibrant downtown with mountains at the city’s edge. To the south, pastoral charm leading to a gateway to the United States prompts a quick shopping trip. To the east of the new Richmon River Green real estate community by ASPAC Developers, diverse communities celebrating international food, customs, people, culture. To the west, ASPAC presents River Green Richmond community, the Pacific and Canada’s idyllic west coast islands. And found int eh centre of it all is the pre-construction Richmond River Green Condos and Townhome community – a residential community destination for all but home for just a few lucky homebuyers. Welcome to ASPAC River Green Richmond condos and townhouses for sale. Grand Collection River Green Richmond Condo Preview coming Sept 17 – 19! The quality of foresight is unmatched by any other developer. ASPAC Developments presents the prestigious waterfront River Green Richmond Residences for sale right now. At River Green community, exceptional design takes full advantage of an exceptional waterfront Richmond real estate location. All the River Green homes for sale (and actually the entire neighbourhood) will be built at or above dike level, with tiered Richmond residences stepping down to the water. This design will maximize views of the Fraser River and North Shore mountains, as will plantings of low growing native species along the foreshore. The entire master planned Richmond River Green Residences will be built to LEED Silver standards. Plus, residents at the new River Green Richmond community will come home to the quality that defines an ASPAC develpometn and the design that makes their new residences so sought after. Thank you for your interest in River Green, a vibrant neighborhood of riverfront homes in Richmond real estate market. It’s going to be a neighborhood as sought-after as Coal Harbor in downtown Vancouver. We are so excited about this upcoming River Green Richmond waterfront real estate project. Phase One of River Green Condominiums and Townhouses is designed by Architect James Cheng, who did the fabulous design for the Shangri-La Vancouver. The water landscape is designed by Chris Philips, renowned landscape architect responsible for living space and urban design of projects such as, the Sheraton Wall Center, and 888 Beach. The pre-construction Richmond River Green Phase One is comprised of 6 condo buildings, with 458 units all together. River Green Richmond waterfront condos provides ingredients and designs that appeal to all levels of home buyers – the common thread being those who are attracted to our unique upscale residences with dramatic waterfront and mountain views. We thank you for viewing our newly launched pre-construction Richmond River Green website and when we have further information on the rivergront project, we will once again be contacting you. I look forward to telling you more about River Green in Richmond real estate market over the coming months. In the mean time, should you have any questions, please feel free to send me an email at constance@rivergreen.com. Presently, we have a pre-sale Richmond River Green condo info centre set up at the Wesbrook at UBC & is located at Suite 102 – 5838 Berton Ave ( just south of west 16th Ave) by appointments only. If you feel you would like to speak to one of us, we will be happy to arrange a time & date to meet with you. We’ll be launching the new site presentation centre at River Green Richmond waterfront community soon. I will continue to keep you updated as our plans progress. We look forward to hearing from you. Sincerely, Constance of Magnum Projects Ltd. Developed By: ASPAC – Proudly Marketed By: Magnum Projects Ltd. The stage has been set for the biggest launch of a beautiful waterfront community in Canada! Called River Green Richmond by ASPAC Developers, the community will be set along the shores of the Fraser River, next to the unique and awe inspiring Richmond Olympic Oval. River Green Richmond real estate development is the newest development by ASPAC, the creators of Coal Harbour Vancouver Downtown and is set to launch marketing and sales in June 2010! The River Green Richmond waterfront community will offer an exclusive collection of riverfront homes with unsurpassed on site amenities that will be unrivalled by any other Canada condo development. Located along the banks of the Fraser River, the Richmond River Green waterfront condo community wil have unobstructed views of the mountains and will invite homebuyers and residents to take full advantage of this most prescious and beautiful location with enhanced waterfront trails along the dike. Tranquility, restoration and beautiful design concepts by ASPAC Developers for the River Green Richmond waterfront condo community will provide residents with an idyllic setting that will provide peaceful urban living that is close to all local amenities. The design of the River Green Richmond waterfront condo community will celebrate and incorporate water and the natural surroundings of the West Coast lifestyle. Homeowners will experience some of the most exclusive waterfront condo living opportunities in Vancouver and will provide those with the ability to embrace opportunity with one of the last remaining waterfront parcels of land along the Fraser. To discover more about the waterfront Richmond real estate development at River Green Condos, please visit rivergreen.com or contact ASPAC at 1.877.413.2633 today (toll-free number). In their latest marketing push, ASPAC Developers have released some more information regarding the luxurious features of these waterfront Richmond condo homes at River Green community. ASPAC is obviously known for their craftsmanship and fine design, and their commitment to building quality homes that will last generations is a testament to their dedication to customer service and quality construction. The ASPAC River Green Richmond condo development will feature a curtain wall system with low-E glass which allows for much larger floor to ceiling windows which afford better views while controlling heat/cool air throughout the seasons. In addition, there is air conditioning in every River Green Richmond condo for sale, which is a very rare and welcoming feature for Richmond homebuyers who like built in air con systems for comfort year round. Double height ceilings are another great feature of these waterfront Richmond River Green homes for sale which create loft like experiences for residents. Level 5 drywall is a significant yet overlooked feature by many developers, but not by ASPAC River Green condo homes. This is the highest quality that will ensure clean lines, uniform finishes and durability. In addition, the two Richmond condo waterfront buildings at River Green condos will have glass elevators that will maximize views of the landscape and neighbourhood. Green walls at River Green Richmond condos for sale will feature an amazing appeal to homebuyers and guests alike. They also protect against temperature fluctuations while allowing the building itself to breathe. Underground parking will be featured here at the waterfront Richmond River Green condos for sale and a green roof will grace the north and south lobbies. The green roof at the pre-construction Richmond River Green waterfront condos for sale will contribute to sustainability of the building and reduces water run-off for better storm drainage. The floorplans at River Green Richmond waterfront condos for sale will allow for indoor/outdoor living through well deisgned lighting, cabanas, private islands and much more for new homebuyers. River Green Condos will accentuate its prime Richmond waterfront location with the seamless flow of living that blends both indoor and outdoor living spaces. Brought to you by Aspac real estate developers, the team who transformed Coal Harbour into a world class destination neighbourhood, River Green Richmond real estate development is poised to become a dazzling, urban waterfront Richmond development on the banks of the Fraser River in Richmond real estate market. Located on a twenty acres property just west of Dinsmore Bridge, these upscale Richmond River Green condominium residences will boast dramatic views, ample park land, a winding riverside promenade with cafes and shops, plus something truly unique – the 2010 Olympic Oval, a state of the art sports and wellness centre that will be a legacy of the 2010 Olympic Winter Games, and located just next to the new Richmond River Green condo community. Sales for the pre-construction Richmond River Green condos and townhomes is expected to begin by next spring 2010. More information about the pre-construction River Green Richmond condo community will become available online soon at www.aspac.ca or you can contact them at info@aspac.ca in the meantime for more details about River Green Richmond community coming soon. The richness of choice will be evident for all homeowners and residents in this new community. 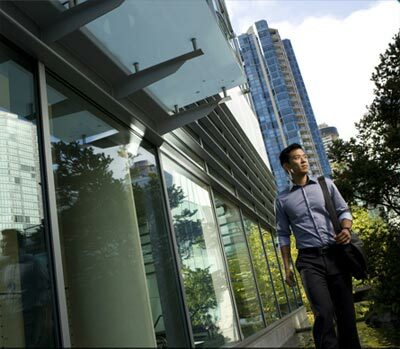 Vancouver has repeatedly been voted as one of the top cities in the world in which to live and work. With its stunning natural surroundings and growing cityscape, its’ easy to see why. The Lower Mainland offers world renowned restuarnts, shopping, entertainment, recreation and some of the most concentrated residential living space in North America. Here, at the new Richmond River Green condos and townhomes for sale, you will be part of one of the most diverse and multi-cultural neighbourhoods in North America, while enjoying a close proximity to public transportation, cultural activities, recreational facilities, shopping, dining and entertainment. The vibrancy of a family and pedestrian neighbourhood is taking form at the new River Green Richmond real estate development by ASPAC. Imagine an area as vibrant as Granville Island in Vancouver, a neighbourhood as sought after as Coal Harbour in downtown. With access to the best of Vancouver, that’s definitely the ASPAC River Green Richmond real estate development. Following the 2010 Olympic Winter Games, this stretch of waterfront Richmond real estate will transform into the vibrant River Green community. 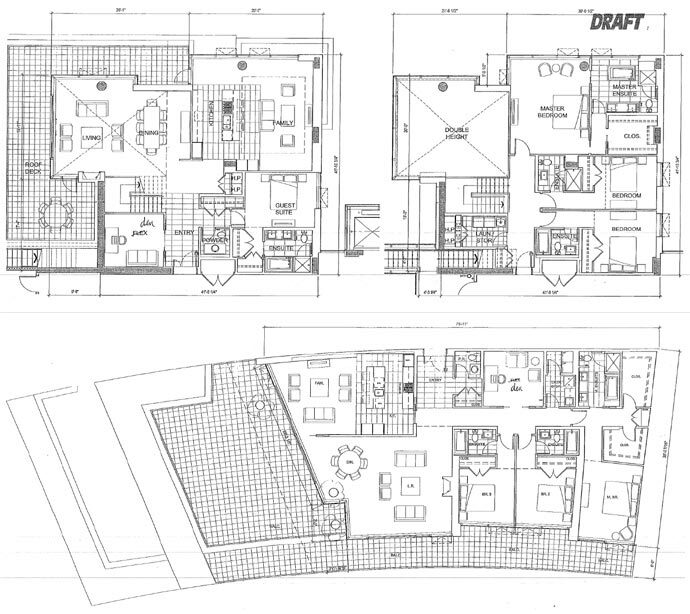 It will be a model of contemporary hig-end living surrounded by legendary West Coast elements. A wealth of healthful options will spring up here at the new Richmond River Green ASPAC condo development. 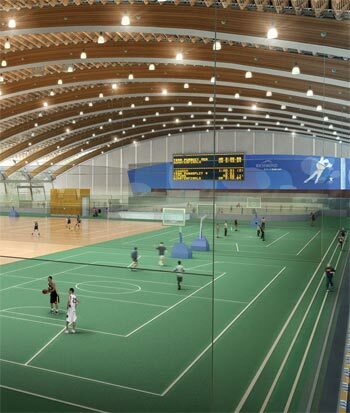 Residents at River Green community will have the Richmond Olympic Oval as part of their residential community. Aso ne of the largest sports and wellness centres in North America, this architecturally stunning 2010 Richmond Olympic Oval wellness facility will offer access to an extensive range of sporting facilities. Combine this accessibility with proximity to dike trails and cycling paths, and this new River Green Richmond real estate community will establish a new definition of a healthful neighbourhood, all master planned by ASPAC developers. 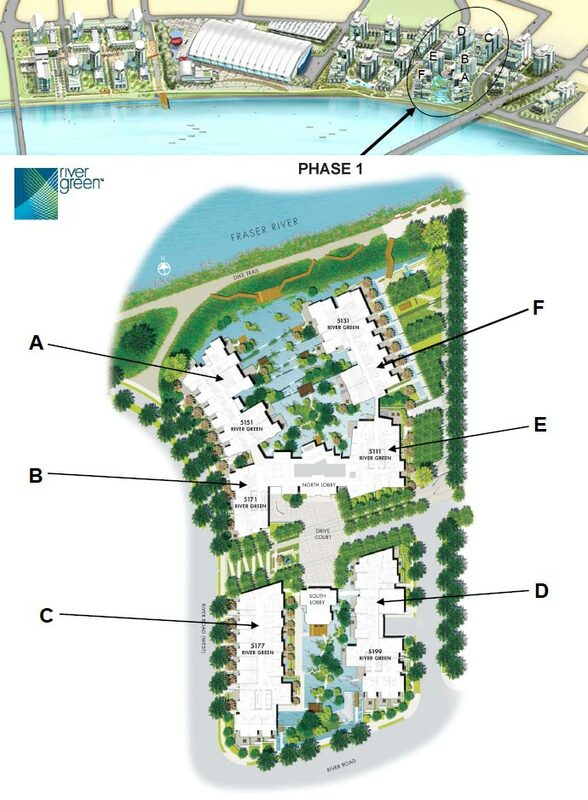 With the recent successes of both Coal ahrbour in downtown Vancoouver that included luxury condo towers and townhomes along the eight acre waterfront park and 250 berth marina, ASPAC is having a remarking sense of déjà vu right here at the ASPAC River Green Richmond master planned community. This new Richmond waterfront site also boasts dramatic, unbroken views across precious waterfront. Just like Coal Harbour, the new Richmond River Green condo development inspires the same pulse quickening sense of possibility, and soon it, too, will be a teeming hub of urban activity. Visit www.rivergreen.com for all the information about this new Richmond real estate development by ASPAC at River Green Community today. The ASPAC Developments Inc office is located at 1830 – 1055 West Hastings, Vancouver, BC. The RIVER GREEN Richmond Legacy … Coming This June! First release of Canada’s most significant waterfront community is coming June 2010. A high end Richmond waterfront community with 28 acres of pristine land at the water’s edge and a tranquil location offering unbroken views is coming soon to the River Green Richmond real estate development by ASPAC. Lavish landscaping and water features infuse the rejuventating power of water into the River Green Richmond waterfront condo vision. The five diamond resort style amenities at River Green Richmond condo development will feature over 20,000 square feet of private facilities for residents that include an eighty foot swimming pool, theatre, music room, shuttle bus and 24/7 concierge service desk. The dramatic design and privileged luxuries of the new Richmond River Green waterfront condo project offers nine foot ceilings, double height ceiling villas with private island, glass elevators, air conditioning and the best European designer finishes including Hansgrohe, Miele, L’O di Giotto and Snaidero. The centre of health and wellness here at the new Richmond River Green waterfront condo development features 2 Oval memberships per home for one year after completion in addition to the exclusive River Green Richmond Condo Lounge for year round enjoyment. Early registration is recommended. The homes at River Green Richmond waterfront condos have home sizes up to 3500 square feet. Thank you for your interest in River Green, a vibrant neighborhood of riverfront homes in Richmond. It’s going to be a neighborhood as sought-after as Coal Harbor in downtown Vancouver. We are so excited about this upcoming waterfront Richmond real estate project. Phase One River Green Richmond project is designed by Architect James Cheng, who did the fabulous design at the Shangri-La, the water landscape is designed by Chris Philips, again one of the fine curb appeal designers in town. The pre-construction Richmond River Green Phase One is comprised of 6 buildings, with 460 units all together. River Green Richmond real estate development provides ingredients and designs that appeal to all levels of home buyers – the common thread being those who are attracted to our unique upscale residences with dramatic waterfront and mountain views. We thank you for viewing our newly launched Richmond River Green website and when we have further information on the waterfront project, we will once again be contacting you. At present, we have an info centre at the Radisson Hotel in Richmond by appointment only. If you feel you would like to speak to one of us, we will be happy to arrange a time & date to meet with you. We look forward to hearing from you. Magnum Projects Ltd. Along the shores of the mighty Fraser River, next to the beautiful Richmond Olympic Oval, a new Richmond waterfront community is born. From the developer of the luxurious downtown Vancouver Coal Harbour neighbourhood, this destination at River Green Richmond real estate development blends exclusivity and the exceptional tranquility of waterfront condo living. At River Green Richmond by ASPAC, 5 star resort inspired amenities await every homeowner. Be one of the first to secure your ideal waterfront Richmond home at River Green today. Visit rivergreen.com for priority registration and VIP preview information or call 1.877.413.2633. Through the passage of the River Green Richmond waterfront condo community and master planned neighbourhood, Richmond fast transforms from a suburb into a city. Featuring a mixed use development by ASPAC which will feature more than twenty six hundred homes and waterfront condos for sale, the Richmond River Green real estate project will also have an urban community feel to it with shopping along the Fraser River. The latest luxury waterfront Richmond River Green condo project process has been passed, and ASPAC Developers have been approved to build this masterful and beautiful waterfront community along the banks of the Fraser River with views back to the city, mountains and water. Along the waterfront boardwalk, residents at River Green Richmond waterfront real estate development will enjoy quiet, safe and beautiful scenic walks in addition to being very close to restaurants, shopping, recreational facilities and parks. ASPAC Developments, the builder of high end condos in Vancouver Coal Harbour will build this luxurious spa like Richmond River Green condo community that will see the construction of about 2600 suites for sale that is clustered with retail space, shopping and other amenities over 12 hectares of land. This master planned neighbourhood will be situated at Westminster Highway and No. 3 Road, thereby extending the downtown Richmond strip through the entire suburb. A city in the making, the waterfront Richmond River Green condo community features a truly urban flair that is convenient, high end and sells itself as an urban resort. As part of the Richmond River Green waterfront condo community, ASPAC Developments is also promising affordable housing units that include shelters, supported housing and low cost rentals as part of their approved proposal for the 12 hectares of waterfront land. With the Canada Line SkyTrain making its way through Richmond, the city has forever been transformed from suburb to city. And now with the addition of the high-end Richmond waterfront River Green condo community, the city becomes even more impressive and luxurious for homebuyers seeking that spa like home feeling. The River Green Richmond waterfront condos is designed by James Cheng Architect and the developer is ASPAC Developments featuring marketing by George Wong’s Magnum Properties. Mayor Malcom Brodie confirmed the approval for the master planned Richmond waterfront River Green condo project in April 2010 which will see the development of a mixed-use community with luxury condominiums that are built around the 2010 Olympic speedskating oval. The River Green Richmond waterfront real estate development will consist of a total of 25 buildings that will cover almost eleven hectares of land on the Fraser River. As the Richmond Oval is being convted into a multi-sports community centre, ASPAC Developments will transform the land surrounding it into a luxurious master planned resort style luxury condo community which they have aptly named River Green. As the new Richmond waterfront condos for sale at River Green will be located along the Fraser River, many people have asked the question regarding potential flooding in the area. The River Green architect, James Cheng, has designed and addressed the problems by raising the dyke and reinforcing the soft soil that keeps the flooding out of the community. Both James Cheng as well as ASPAC Developments were involved with the re-development of the downtown Vancouver Coal Harbour waterfront condo community. The same style of luxury Richmond waterfront condos will be happening here at River Green and the Phase 1 sales will begins this Summer 2010 and River Green condos will be marketed by Magnum Projects (George Wong). The expected completion date for these new pre-sale Richmond River Green condos in Phase 1 is expected to be in 2013. Magnum Projects predicts that Phase 1 River Green Richmond will sell out within 60 days of the pre-sale launch.